The Association is converting to a new light bulbs for lampposts - a 7 watt LED with visible elements. 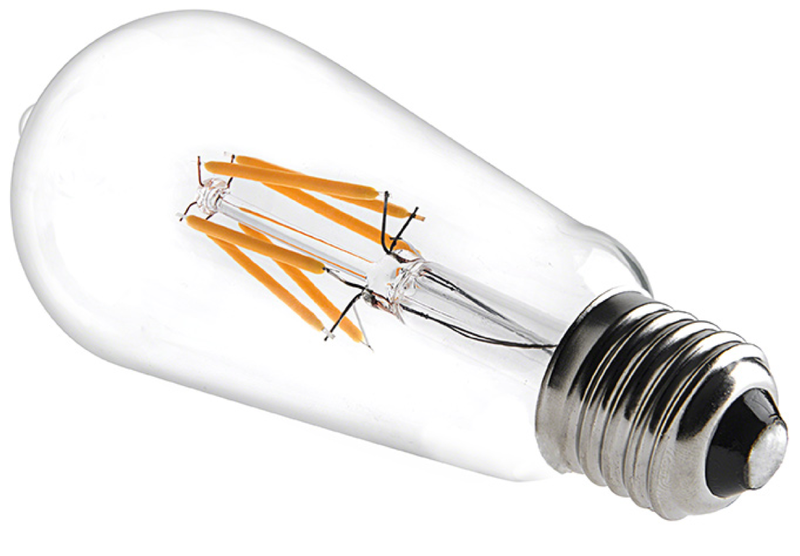 The change was motivated by the discontinuance of the CFU bullet bulbs that we currently use. They are "off the market". The new bulbs provide more light, have a cleaner look, they use half the energy, and have a longer (supposedly) lifespan. The LED cost $8.75 in bulk vs $7.50 for the bullet bulb. The longer life should make them less expensive in the long run - they need to last for 26 months or more for that to happen. Managing the new bulbs will be very different that the CFU bulb - which we change 3-5 month (burn-out). As solid-state light sources, LEDs have very long lifetimes and are generally very robust, however, the performance of LEDs degrades over time, and this degradation is affected by factors such as operating current and temperature. What this means is that we will need to replace them before they burn out and that it makes sense to change a whole street at a time once the performance drops off. We don't know how long that will take, bu the bulbs are 33% brighter than the bullet bulb so we have that cushion. Currently the bulbs are in 1501-1526, 1600, 1601, 101 and 123 Brentwood, and 1900-2013 Wilshire and the mailbox poles. The labor was provided by board members. All of the installations included cleaning the bugs out and washing the glass inside and out. These are phosphorus LED - the light color is like that of halogen - it is a warm color, not a harsh blue color. LEDs do not contain mercury like the CFU.